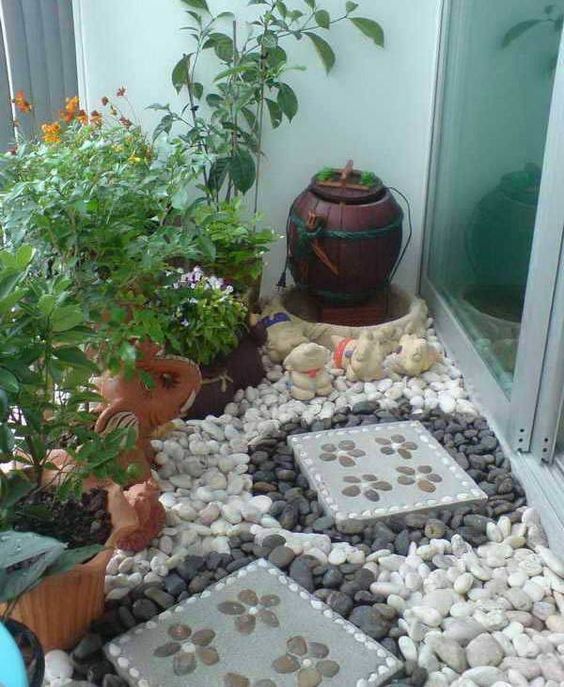 If you wish to decorate your mini garden but you are tight on a budget, the easiest way to do it is through garden stones. Garden stones are not so expensive especially if you just need a sack or two. You don't even have to hire a professional to lay it in your garden. This could be a good weekend project for the whole family. You see, from the above photo, a mini porch was transformed into a simple but lovely place just by the use of few garden stones, garden accessories and few potted plants. It looks so cozy yet so simple. I am now working on the new outdoor room just adjacent to our dining area, I am considering a zen inspired room and is planning to use a lot of stones in that area since I still have a lot from the last project.